So, I'm in Glasgow and doing well. But first let me tell you a bit about Gothenburg. I was there for two days before I took the plane, staying at my friend Lisa's flat. 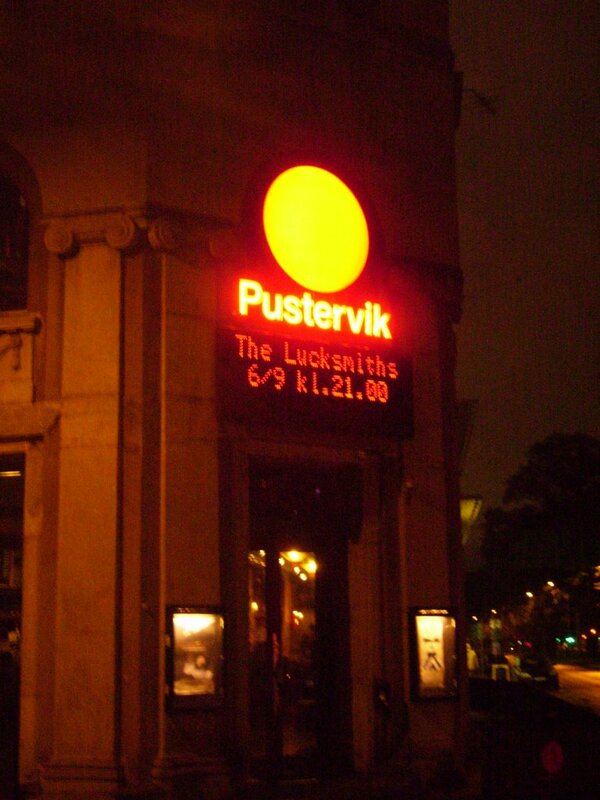 On Wednesday we went to Pustervik to see Sambassadeur and The Lucksmiths. That was very nice and I met some friends from Gothenburg I hadn't seen in a while. However, The Lucksmiths only played two songs they hadn't played in Lund - "The Great Dividing Range" and "Guess How Much I Love You". 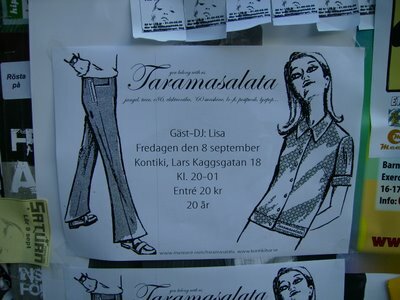 Then on Thursday we walked about town putting up flyers for Taramasalata which was yesterday. Lisa was playing records and Jyrki was supposed to as well, but he was off to Hamburg for Three Cheers For Our Side. I hope things went well for her and that lots of people showed up!